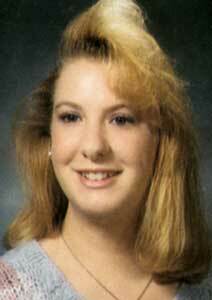 Carla was born on Feb. 22, 1977 to Roy Stephen and Janice Burton Dial in Paola Kansas. She graduated for Osawatomie High School in 1995, and attended Fort Scott Community College for 1 year. Carla had worked for the Stouse Sign and Decal Company, Tri-Co, and had waitressed at several restaurants in the area before failing health caused her to retire. She enjoyed vegetable and flower gardening, fishing, attending concerts, enjoyed going to the boats, spending time with her family and friends. She was a selfless, caring individual for other people. She will be greatly missed by family and friends. She was preceded in death by her father Steve Dial. Survivors include her mother Janice Dial of Mound City, sister, Sheramie Cain of Louisburg, sister, Casey Wilcox of Mound City, brother Steve Dial of Lehigh Acres Florida, grandparents, Ray and Gerry Dial of Paola and Fiance Paul Moeller of Blue Mound, plus many nieces and nephews.